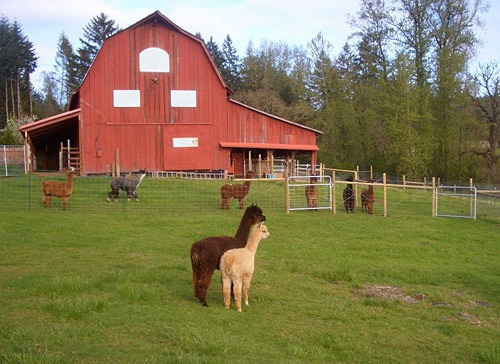 We are happy to answer any questions about alpacas and their care, or to arrange a farm visit. Just email us using this simple form or call (541) 912-0782. We respect your privacy and will not provide your email address to any third party. Please Note: we will be CLOSED on March 2, March 28-April 1, and April 25-30, 2019. 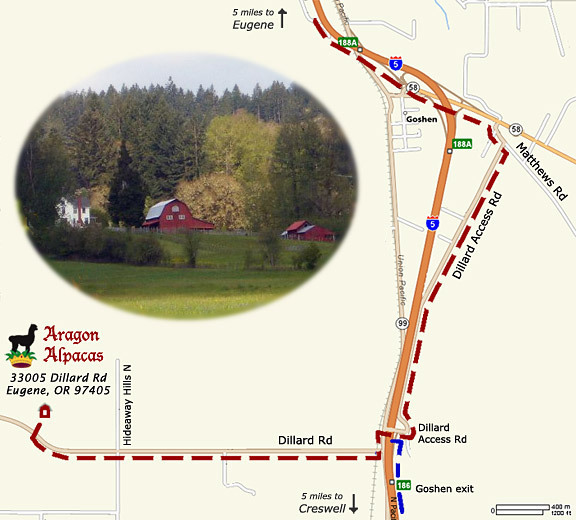 Driving North on I-5, take Exit 186 (Goshen), turn left onto Dillard Access Rd, crossing the Interstate, and left onto Hwy 99, then right on Dillard Rd. Aragon Alpacas is 1.85 miles on the right. Driving South of Eugene on I-5, exit toward Hwy 58. Turn right onto Mathews Rd (opposite Seavey Loop Rd), then right onto Dillard Access Rd. Proceed approximately 2 miles to a stop sign and turn right over the overpass. Left onto Hwy 99, then right on Dillard Rd. 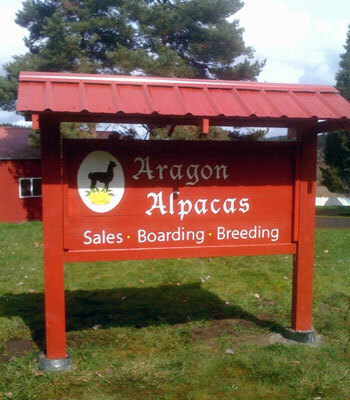 Aragon Alpacas is 1.85 miles on the right. If you are coming the "back ways" through Eugene, drive south on East Amazon Rd, turn left onto Dillard Rd and go 3.3 miles. Aragon Alpacas is just beyond the 2-mile marker on the left. The big red gambrel barn and old white farmhouse are easy to see from the road!